The Oregon Ducks are the No. 1 seed in the NCAA West Region, and coming to Spokane to play. DUCKS AND BEARS AND JACKRABBITS, OH MY! The winners of Session 1 and Session 2 will face each other Sunday at a time to be determined. Watch for this week's Inlander for a breakdown on each team. Gonzaga won the WCC tournament what seems like months ago, and they were the last team to pop up in the too-long CBS selection show after two hours of listening to Charles Barkley fumble through opinions about college hoops that he seems to not actually watch all season. Gonzaga to an 11 seed and is playing Thursday at 6:57 pm against No. 6 seed Seton Hall, the Big East champs. Given that St. Mary's didn't make the field after sharing the conference regular-season title with the Zags and making it to the WCC tourney championship, the Zags would definitely have not made the tourney if they hadn't won in Vegas last week. In Seton Hall, the Zags face a suddenly hot team that took down two top-5 teams on its way to the Big East tourney title in Villanova and Xavier. Guards are the strength of the Pirates, while Gonzaga's is its big men in Domantas Sabonis and Kyle Wiltjer, so this should be interesting. If Gonzaga wins, they'll face the victor of the Utah/Fresno State matchup on Saturday. Coach Jim Hayford leads his team into the CBI tournament and a home game Wednesday against Pepperdine. The College Basketball Invitational tournament isn't exactly March Madness, and it's not even the NIT. But it IS an opportunity for smaller schools to play more basketball and give their fans another chance to cheer while giving their players more time to develop for next season, or have one last hurrah with their teammates. Three Big Sky teams are part of the 16-team CBI this season, with Eastern Washington, Idaho and Montana all taking part. 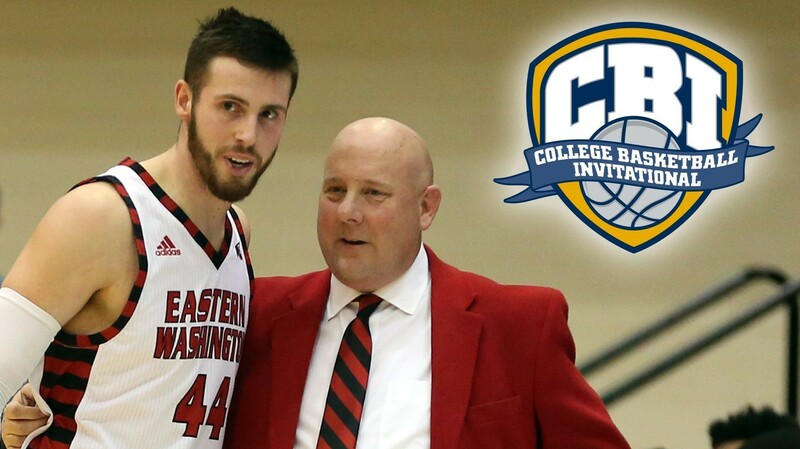 Eastern Washington hosts Pepperdine in Cheney Wednesday at 6 pm. It is Coach Jim Hayford's 500th college game as a coach, and the winner will face the victor of the Montana/Nevada game. Tickets for Wednesday's game are $10, $5 for kids. The Idaho Vandals, who took down EWU in the Big Sky tourney, also earned a bid to the CBI, and they will play at Seattle University Wednesday at 7 pm. If they win, the Vandals will take on the winner of the Vermont/Western Carolina showdown.